Pepipost delivers 200+ Million emails a day. Our focus every day is maintaining a good email sending environment. With so many emails flowing in and out of our system, manually monitoring and tweaking settings to adjust for the best inboxing is a challenging task. To solve this problem and deliver best possible inbox rates to our customers, we turned to using machine learning and artificial intelligence in email (we fondly call it MaLAI J). We get hundreds of signups every day and a surprising amount turn out to be spammers. We had to stop the bad guys from using our platform. This was our first problem to solve with AI and Bayesian classification helped us crack it. The algorithm looks at 30+ attributes of each domain (like website traffic, DNSBL checks, domain recency, etc) to arrive at a probabilistic score. Higher the probability, the closer the domain would be implicated as email spam. This is working at a 97% accuracy for us as of today and we’re working to improve to 99+%. Every domain sending emails for the first time from Pepipost should go through a email warm-up program. The premise of warm-up plan is to send emails gradually and build the reputation over a period of 3-6 weeks. During the warm-up phase, the number of emails you should send today is a function of emails sent until yesterday plus the level of engagement those emails have generated. Depending on the success of your email program, you move up the warm up slab. We wanted to create dynamic warm-up plan that takes in the various factors that impact warm-up and can automatically control the volumes of emails going out. As this is a regression-type problem, we used a machine learning technique called Decision Trees to solve this. For example: if I’ve sent 2,000 emails yesterday and generated an open rate of at least 15% and have less than the threshold of hard bounces & complaints, then increase the volume by 25% the next day. Currently, this is in beta stage and is enabled for a small set of clients. We will gradually roll out to all our new subscribers in the near future. As an Email API service processing over 7 Bn emails a month, Pepipost services different kinds of email traffic; each of them having different performance measures. For instance, when you send out transactional emails like signup confirmations, you primarily look for speedy delivery whereas for your marketing mails, you would need optimized delivery and better inboxing. As you can see, different types of emails need different handling and we’re solving this challenge with Neural Networks. The Neural Net understands minute shifts when it comes to delivery and auto adjusts throughput based on those minute signals. For example: If the domain hits a certain percentage of invalid users within a minute, the neural network picks up the signal, slows down delivery in the next minute and closely looks at the quality of mailing. 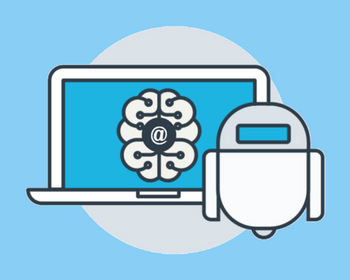 Our expansion into machine learning and artificial intelligence in email has just started and the journey so far has been exciting. We’ve lined up some more cool things to do while perfecting our current algorithms. We have better ways to stop bad guys from entering and polluting our network, better ways to guide you through the warm-up and even better ways to deliver emails to Inbox. All you have to do is to send emails your users love; we’ve got your back. AMP for emails, next big thing on email after email?